Public Service Day at the United Nations (U.N.) is marked with a ceremony for the presentation of the U.N. Public Service Awards (UNPSA), and biennially, the E-Government Survey Awards, followed by a global forum on public administration and culminates with a ministerial roundtable. On some occasions, a formal declaration is made. Although declarations are non-binding, they summarize the deliberations of the forum, including commitments expressed by Ministers of Public Administration representing the award winning countries and other participating nations. A global perspective on public service can be gained by attending these events. Related documents (winners’ presentations and overall reports) for the last decade can be accessed online. 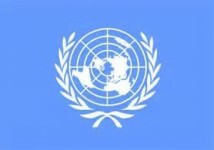 In March 2003, a resolution by the United Nations General Assembly (57/277), declared June 23 as U.N. Public Service Day. Member states were encouraged to hold special events on this day to highlight the contributions of the public service in the development process. The U.N. Millennium Declaration (2000) and the formulation of eight common development goals for 2000-2015 (MDGs) inspired renewed interest in public sector performance among leaders. It was clear that the MDGs could not be met without substantial reform in public service, with e-government development as the cross-cutting mechanism for institutionalizing reform. The global consensus on the need for public service reform led to a series of new programs, in particular the UNPSA which are intended to recognize and promote excellence in public service involving innovation. The program comprises a rigorous score-based evaluation process, by world region and award category. Semi-finalists are required to submit outcome data as testimony to their effectiveness, and contact is made with local associates in the field to verify programs and validate overall impact. Recommendations are presented to the U.N. Committee of Experts on Public Administration for the final confirmation of winners. In the past decade, UNPSA participation has quadrupled with nominations exceeding 500, representing nearly 45 percent of the member states. The highest number of nominated initiatives has consistently come from Asia and the Pacific, Europe and North America. In recent years, nominations have increased from Western Asia, Africa and Latin America and the Caribbean. Nominations are awarded to the best initiatives in each category, from each region. Self-nomination by organizations is not permitted. Although there is collaboration with national awards programs, excellence is sometimes recognized by another country and nominations made across regions. 1) Improving the delivery of services. 2) Fostering participation in policymaking decisions through innovative mechanisms. 3) Promoting whole-of-government approaches in the information age. 4) Promoting gender-responsive delivery of public services. The largest percent of initiatives usually comes in the first category. The U.S. has been a recipient of the UNPSA on three occasions. The first time was 2008 in the category of Improving transparency, accountability and responsiveness in the public service. The award was won by the Juvenile Delinquency Domestic Violence and Family Violence Court, in the State of California Superior Court for the county of Santa Clara, San Jose. In 2011, the City of New York 311 Customer Service Center was the winner in the category- Improving the Delivery of Public Service. Also, in 2013 the Philadelphia Department of Human Services was awarded in the same category for its initiative, Improving Outcomes for Children. The case studies on award winning initiatives are documented in Good Practices and Innovations in Public Governance. Emergence of government’s online presence. Their connected presence (government to government, citizen to government and vice versa). E-Government Survey – first in 2003 and 2005; second in 2008 and 2010; and fifth in 2012. E-Participation Index – second in 2003; third in 2005; fourth in 2008; seventh in 2010; and sixth in 2012. Other countries ranking regularly at the top, in both cases, include countries in Europe and North America, as well as Australia, the Republic of Korea and Singapore. Public service is a central determinant of the quality of life for populations across the globe, not only for the MDGs. The motivational value of public service awards programs and, as in the case of the UNPSA, their utility in promoting innovation in public organizations renders them an important area of interest. Research into the number and nature of existing public service awards programs identified a total of 95 worldwide: globally, the UNPSA, 17 international programs, 25 regional and 52 that are national and local. In 2010 the U.N. supported the call for a community of practice among coordinators of public service awards programs worldwide. Special meetings were held at the global forum in Barcelona, Spain (2010) and in Tanzania (2011). Looking toward the future, the success of this kind of collaboration would be enhanced by the development of such communities locally. Author: Lois M Warner (Redman-Simmons) is an associate professor in the Department of Public Management, John Jay College of Criminal Justice, CUNY. She teaches core courses in the MPA program, in particular, Research Methods, Policy Analysis and Organizational Behavior and Management. Warner worked as Governance and Public Administration Officer (2009-2013) with the Department for Public Administration and Development Management, United Nations Department of Economic and Social Affairs. Urban development policy is one of her research areas and she is a co-author of “Reinventing Newark” (2005) a companion text for an exhibit by the same name produced for Rutgers University. She can be reached at [email protected].